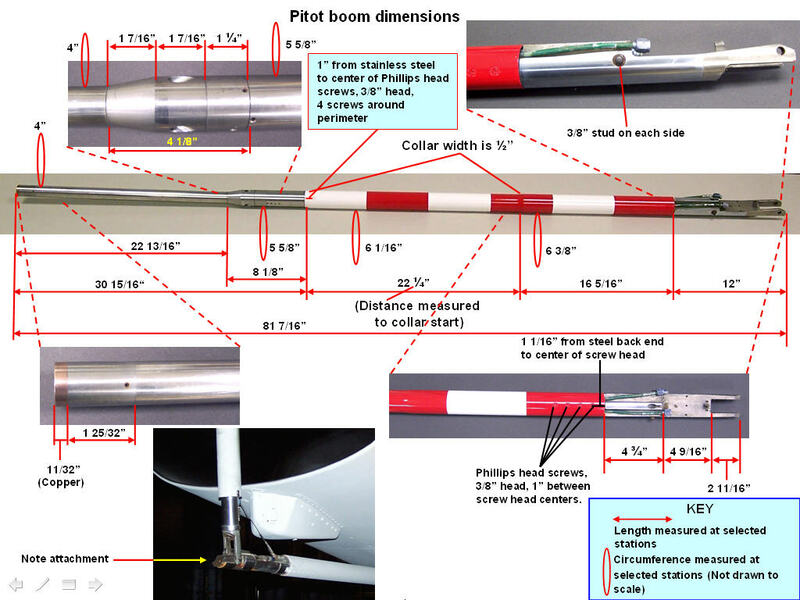 The pitot boom has been the easiest restoration to date. Figure 1 shows its condition after it was cleaned, but not yet stripped of its multiple paint layers. After the boom was straightened, I stripped the paint and did some initial polishing to make the scratches and other flaws stand out. Because the aluminum portion of the boom would be painted, I used a filler and then sanded and polished the filled areas until they were smooth. The stainless steel portions were another matter ... it took over 15 hours of sanding and polishing to restore the stainless steel surface to a "like new" condition.